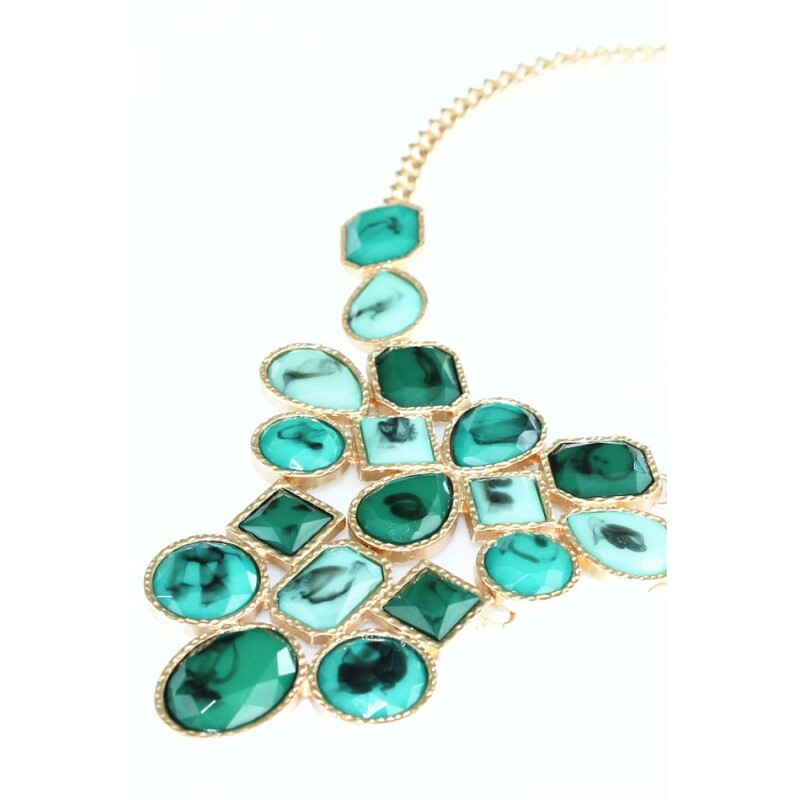 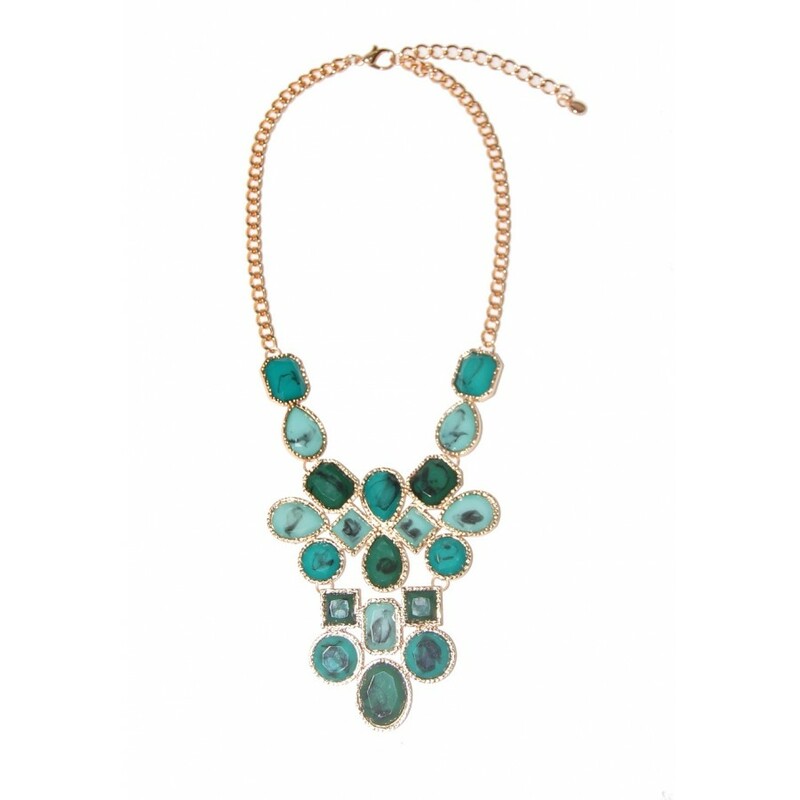 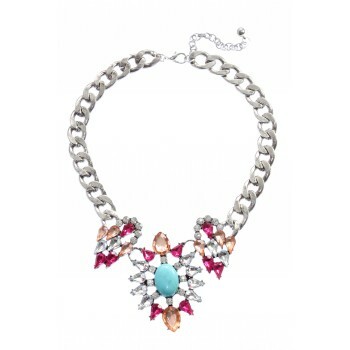 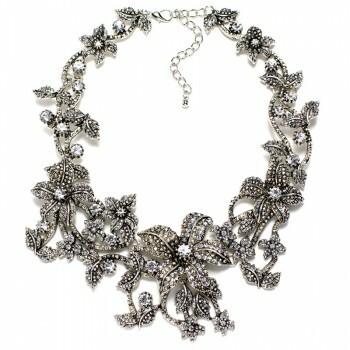 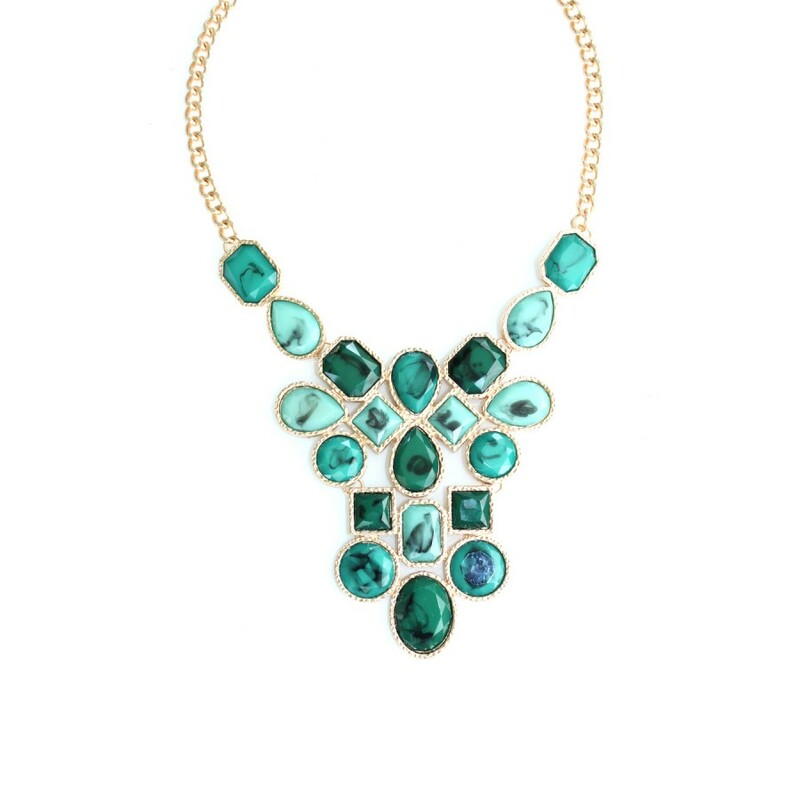 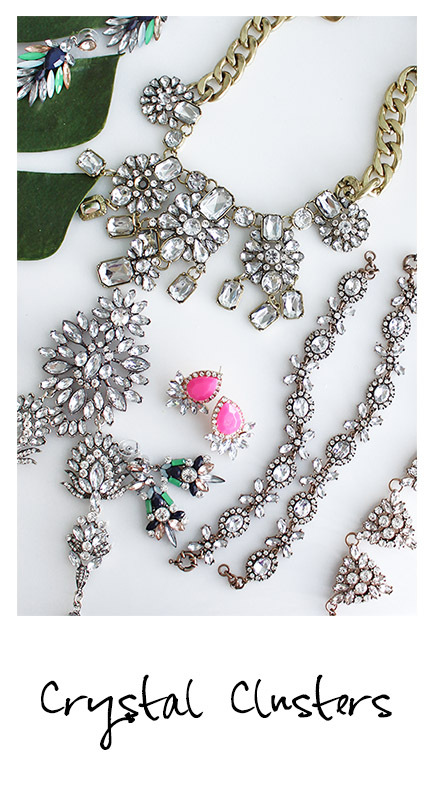 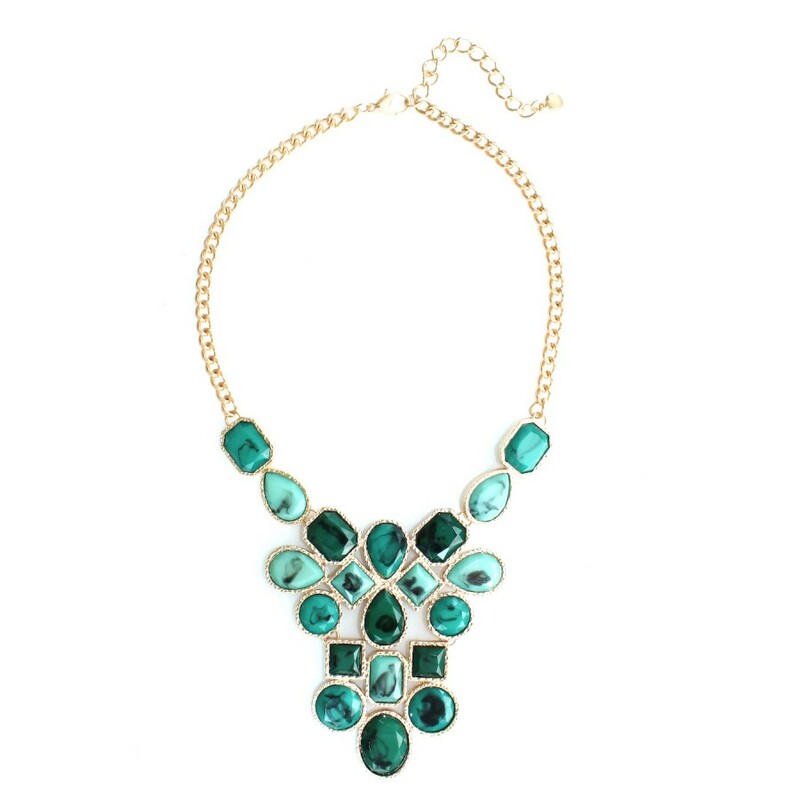 It's hard to resist the glamour of this mosaic gem bib necklace. 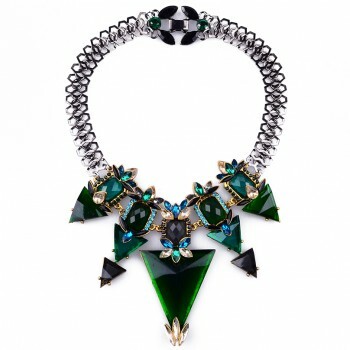 Featuring an alluring cascade of marbled geometric gems, this necklace is the epitome of glamour and fierceness. 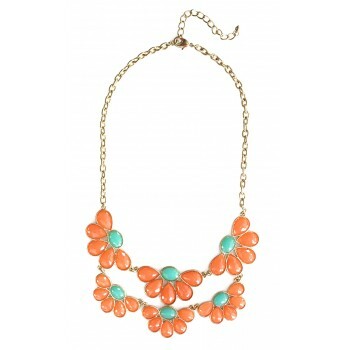 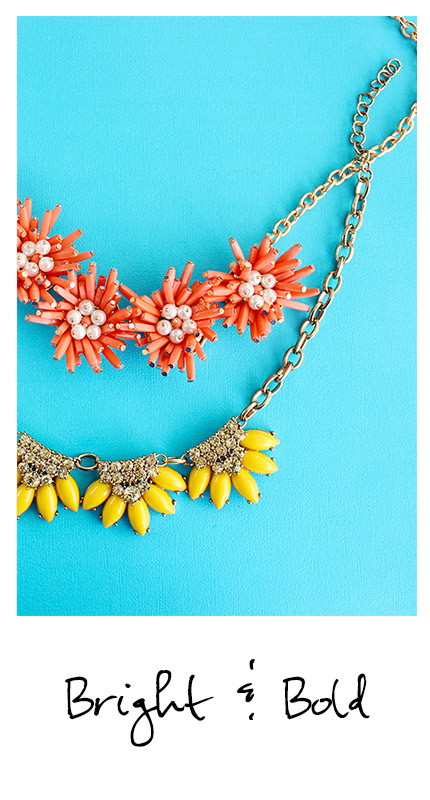 Pretty and sweet, this necklace features faceted gemstones in tangerine and turquoise for that perfe.. 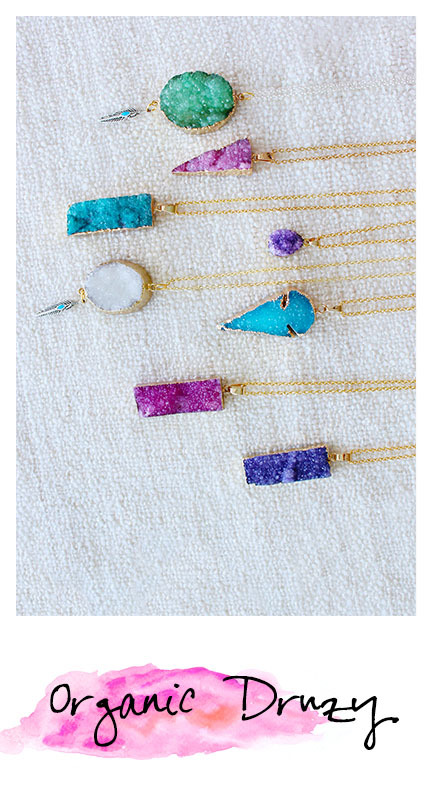 Arranged in floral- clusters, the eye catching oversized turquoise stone on this striking statem..